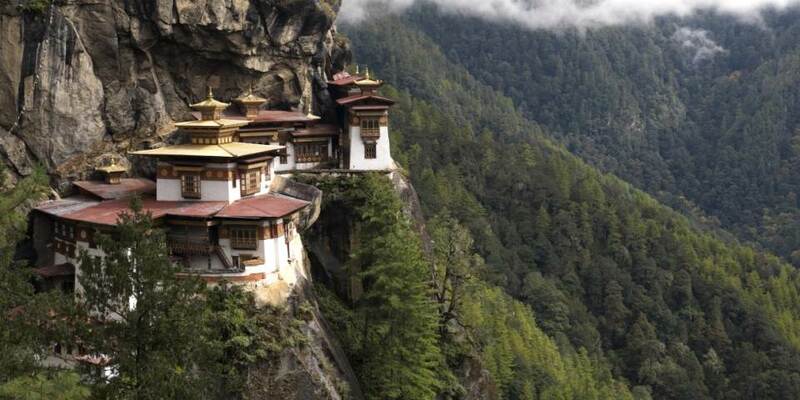 Bhutan, The Land of the Thunder Dragon, a landlocked Himalayan Kingdom perched high on the mighty Himalayan range remains a hidden paradise, accessible to only a fortunate few. 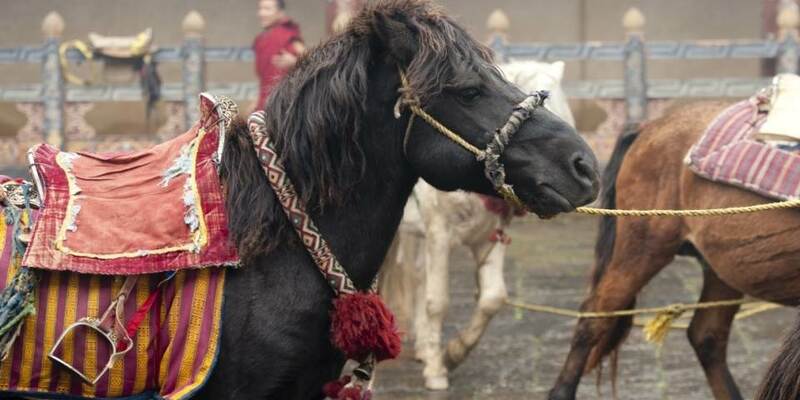 It is a country where religion and nature unite and which is the last bastion of Vajrayana Buddhism .The many Festivals are rich expressions of this ancient Buddhist culture, when people dress in their finest clothes and jewellery. It is a land of monasteries perched precariously on sheer cliffs, fluttering prayer flags lining high ridges, chanting red robed monks all combining to give the aura of a long forgotten time. A country which has succeeded in retaining the values of the old, with no traffic lights even in Thimpu the capital city, and where the main goal in life for the people is happiness. 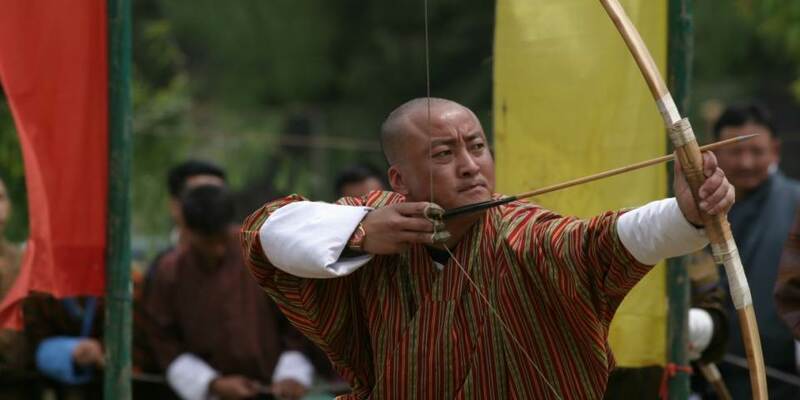 Bhutanese are passionate about their national sport, archery, known as Dha. Most villages have an archery range and competitions are colourful and full of excitement with much heckling among opposing teams. The region is so mountainous that it has successfully repelled invaders, which has also ensured that large swathes of landscape remain untouched. 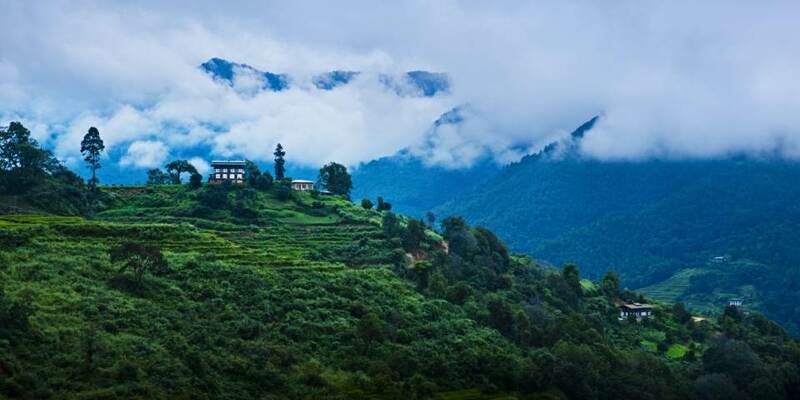 With more than 35% of the country under some form of conservation management it is no wonder that Bhutan is home to a staggering range of flora and fauna, including 24 internationally threatened species. 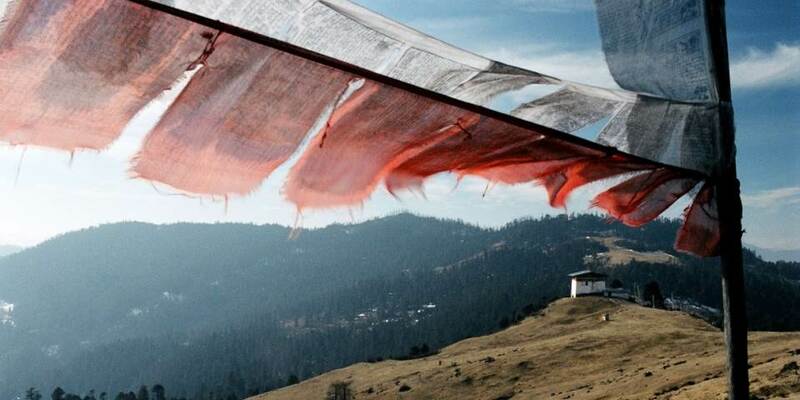 Bhutan offers a trekking experience unlike those of more crowded countries . 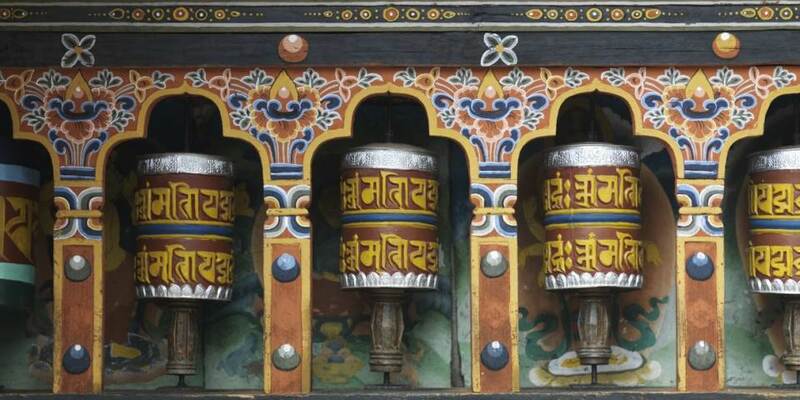 There is something for every traveller whether it is a three day trek from the capital Thimpu to Paro or the legendary Snowman’s Trek which goes over 12 mountain passes and takes 25 days. It is not just walkers who will delight in this beautiful land. In each season the landscape offers a feast for the eyes; in spring the blossom heralds a return from winter, in summer fertile valleys are covered in green and rhododendrons, azaleas and wildflowers cover the meadows like carpets. Autumn casts a golden glow and the rice begins to ripen. Winter brings clear days and cold nights but also lays bare the majesty of the mountains. 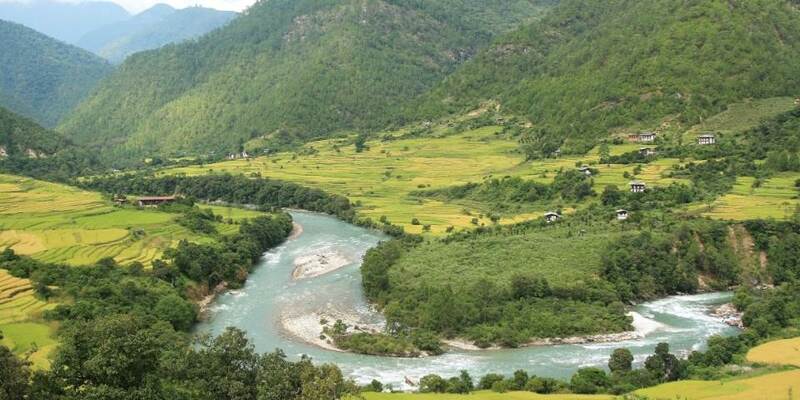 Bhutan is a land to be wondered at and treasured. Located at the heart of the Thimpu Valley in the capital city of Thimpu, Taj Tashi is a blend of Bhutan’s Dzong architecture and modern design.